Property 5: Smuggler's Well: Cosy retreat in traditional fishing village. 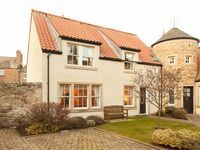 Property 7: Luxury Stone Cottage at The Brake, St Andrews. Property 15: Villa in Broughty Ferry, With Harbour Views - visit V&A Dundee! The Neuk, 2 Bedroom Apartment in Stunning Coastal Town Location. Property 32: The Neuk, 2 Bedroom Apartment in Stunning Coastal Town Location. Property 33: Waterfront Property Near St Andrews With Fantastic Panoramic Views. Semi-Detached Home With 2 Double Bedrooms Sleeping 4 People. Property 34: Semi-Detached Home With 2 Double Bedrooms Sleeping 4 People. Property 43: Tastefully refurbished Cottage c1762 in village 1/2 mile to award winning beach. Property 46: Detached Renovated Cottage in woodland location. Property 47: The Steading Cottage St Andrews Affordable Luxury Self Catering Accommodation. 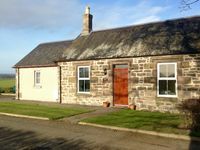 Property 49: Lovely country bungalow in rural setting near St Andrews. Ideal for golfers.